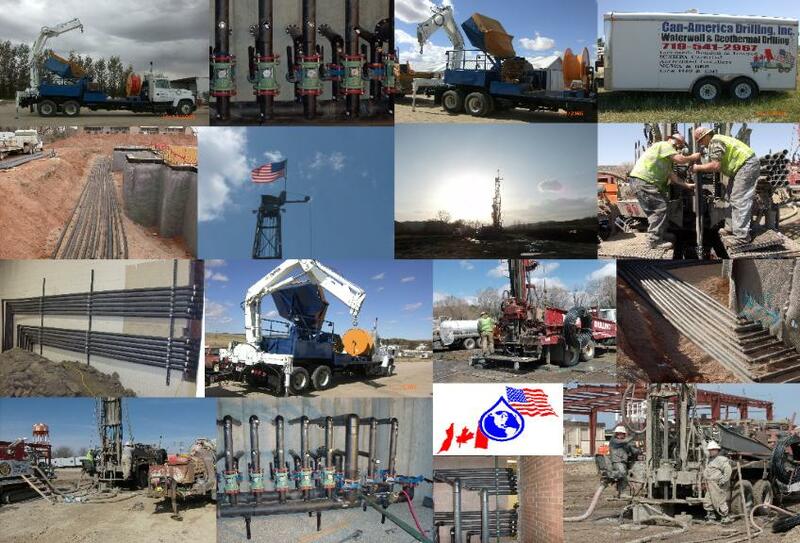 Can-America Drilling, Inc. has been in business in Colorado since 1982. Back then, we specialized in Water Well Drilling and began with 1 rig and 1 crew. Our business has grown rapidly over the years now operating with 6 drill rigs each capable of drilling through a variety of geological make-ups. To date we have drilled over 3700 water wells throughout Colorado and over 1 million feet of boreholes for geothermal systems. We have completed over 675 geothermal projects including, but not limited to residential homes, banks, schools, military bases and many more types of commercial buildings throughout Colorado, Kansas, Nebraska, Wyoming, New Mexico, South Dakota, Utah and Wyoming. We began drilling Geothermal holes in 1986, doing our first project for Mountain View Electric in Falcon Colorado. We now operate with 6 crews, each with their own expertise and training. Between Owner Wayne Arde and our employees, we hold 6 Geo-Exchange Certificates, 1 Water Well License, 4 IGSHPA Accredited Installer Certificates, Polyethylene Training and most of our employees have over 15 years of experience with our company. We look forward to increasing our footage, our experience and creating new relationships in the years to come.